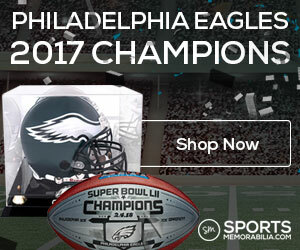 Apparently, the Philadelphia Eagles signing Sam Bradford to a two-year deal was a subtle smokescreen to a larger plan at hand – to erase nearly every perceived mistake of the Chip Kelly era. Yesterday, the Eagles traded three major components of Kelly’s controversial 2015 offseason run. First, the Birds reportedly traded cornerback Byron Maxwell and oft-injured linebacker Kiko Alonso to the Miami Dolphins for draft compensation. Then, late Monday, Philadelphia dealt embattled running back DeMarco Murray to the Tennessee Titans for undisclosed considerations. The move is expected to made official possibly on Wednesday. How much does Eagles wonderboy (and Executive Vice President of Football Operations) Howie Roseman hate Chip Kelly? Remember, it was Kelly who demanded the Eagles give him total control over personnel matters and in turn, knocking Roseman down the organizational latter. Now, it’s time for Roseman to gain some measure of revenge. I’ve heard of a team housecleaning before but this seems like an exorcism.